The Manor of Bevendene was first mentioned in the Doomesday Book in 1086 when it was reported to be worth £6 and owned by William de Warrenne who had been given the land for service to William the Conqueror. The land had been farmed from earlier times and this continued until the 1940’s, when the farm was needed for new housing for the country’s expanding population. Transcription of Latin entry in the Doomsday Book. Between the Domesday entry and the present time there is further documented evidence of the farm and its owners or tenants. There is a reference to Bevynden Farm in the will of John Levitt, dated 22 October 1533 and a record in 1639 which showed Thomas Covert of Slaugham owned the farm. In 1698 the will of Diones Geere left freehold land and a barn at Falmer to his son Thomas Geere and his heirs. This was probably the land where Bevendean Farm was situated. It is possible that Thomas Geere passed the land to his brother Richard Geere. In 1716 Richard Geere left Bevendean Farm to Charles Geere who in turn left the farm to his daughter Elizabeth in his will with probate granted on 22 April 1734. In 1735 a lease was drawn up relating to Bevendean Farm between John Wade, tenant, and Diones Geere the younger, Clarke Nathanael Webb and John Ado the three executors of the last will and testament of Charles Geere late of Brighthelmstone. The executors became guardians to Elizabeth Geere the only daughter of Charles Geere during her minority. The rent for Bevendean Farm was £130 per annum for a term of 13 years to commence at Michaelmas 1735. 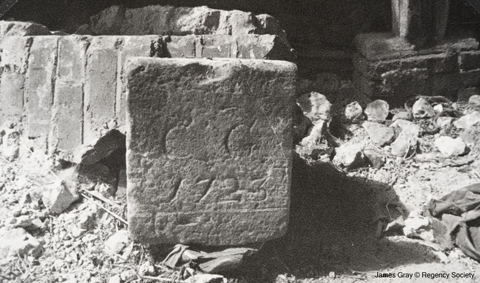 When one of the Farm Barns was demolished in 1948 a carved stone with the date 1723 and the initials C.G. was found. 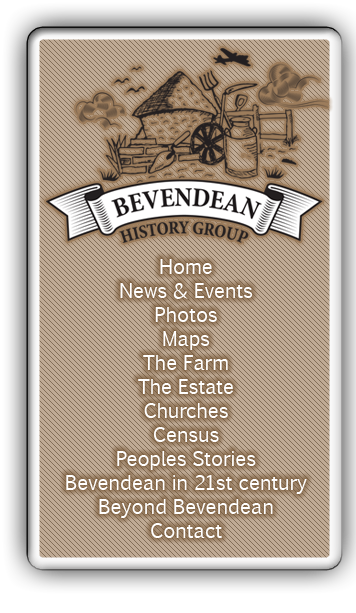 In 1757 according to a document dated, 8 August in the 25th year of the reign of our Sovereign George, the lease of Bevendean Farm was granted to John Beard. On the 13 October 1767 Elizabeth GEERE, of Lewes married the Revd George NEWTON, the Rector of Isfield. The Marriage took place at Isfield. One year later, an indenture dated 1 August 1768, showed an agreement for a loan on The Farm between Rev George Newton Vicar of Isfield, his wife Elizabeth (nee Geere), and William Mirboll Esq. 1769 saw the birth of a daughter Elizabeth Newton to Rev George Newton and his wife Elizabeth (nee Geere). In 1787 a lease of Bevendean Farm was granted to Richard Verrall commencing at Michaelmas 1787 for a term of 7 years, expiring at Michaelmas 1794. Bevendean Farm passed to Mrs Elizabeth Newton in 1792 following the death on 18 Dec 1791 of her husband the Rev George Newton. On the 3rd June 1808 Elizabeth NEWTON the daughter of Rev George Newton and his wife Elizabeth, spinster from Uckfield married William Courthorpe MABBOTT, esquire from Reading. In 1811 the ownership of Bevendean Farm, was in the hands of William Courthorpe Mabbott. When in 1838 William Rogers Willard took over the tenancy of the farm, the Tithe map showed the farm covered an area of 693 acres. By 1862 Bevendean Farm had yet another owner, a Mr Charles Beard and it remained with him until his death in 1876, when it passed to his daughter. By 1883 Mr Steyning Beard had become the owner of Bevendean Farm. Steyning Beard was the village Squire of Rottingdean and owner of 3,000 acres. This land had been gradually acquired and enlarged by a long line of his forebears, who were Quakers. At this time The Bevendean Estate covered 676 acres and was valued at £16,575-17s. The land was split between at least 12 different people, plus some small holdings and allotments. Charles Steyning Beard in 1904. In 1908 Frank J Allcorn took the tenancy of Lower Bevendean Farm when he moved from Chailey with his wife Edith and son Jack. Steyning Beard died on 13 December 1909. The Brighton and Hove Herald on the 2nd August 1913 reported the purchase of Lower Bevendean Farm from the Estate of the late Steyning Beard for £6,200. The principal part of the land (246 acres, 2 roods, and 2 perches), including the homestead, was in the occupation of Mr F. J. Allcorn on a term expiring at Michaelmas, 1915, at an annual rent of £262. The remaining 33 acres were let as allotments to fourteen different tenants, at rentals amounting to £98 18s. 6d. The buildings consisted of a farmhouse built from brick and flint with a slate roof, having a wing which could be adapted for a second residence. The farm buildings were also built from brick and flint with slate or tiled roofs. They comprised of a cowshed for twenty four cows, stabling for eight cart horses and a cart lodge. In addition there was a chaff shed, open hovels and yards; a large granary with loft over and a second cowshed for six cows. There were also five good cottages on the estate. The total annual rent was £356.18 shillings and sixpence; the tithe (unapportioned) was estimated at £18, and there was no land tax. 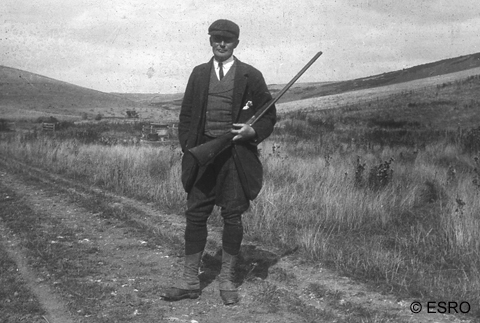 Mr F. J. Allcorn continued to farm the land until September 1942 when he was given notice to leave.